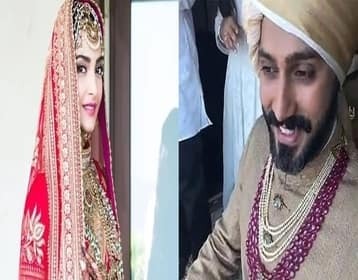 8th March 2018, Sonam Kapoor is getting married to his love of his life, Anand Ahuja. 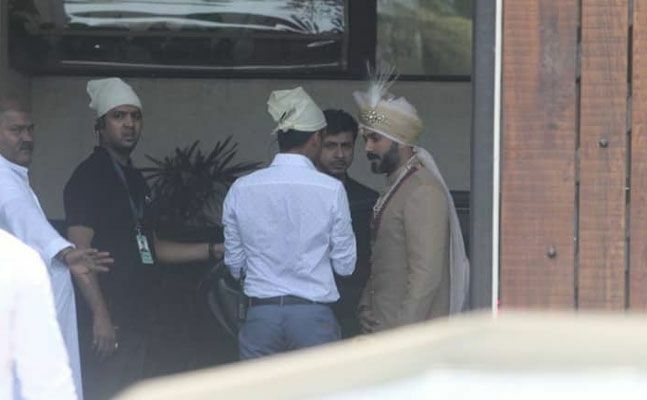 The celebrations were full-to-the-brim since saturday at the Kapoor's residence. 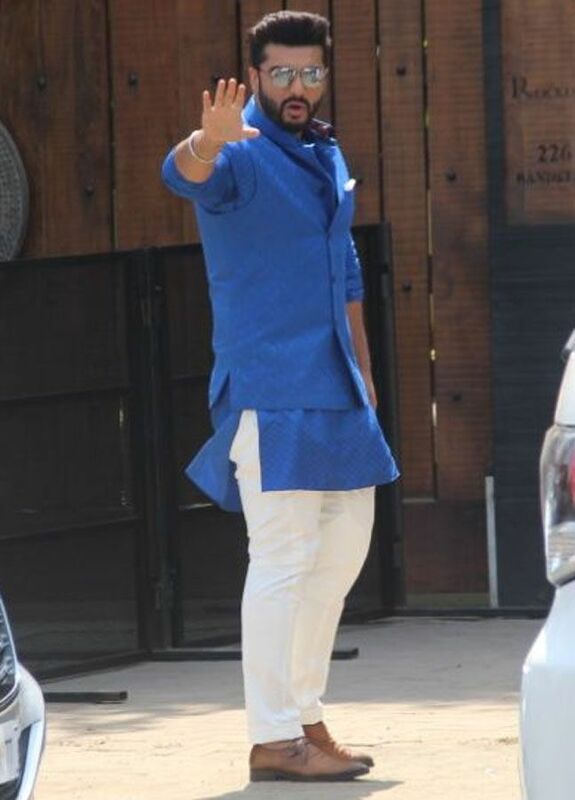 The Mehendi night was lit, Anil Kapoor bhangra dance that no one would like to miss. 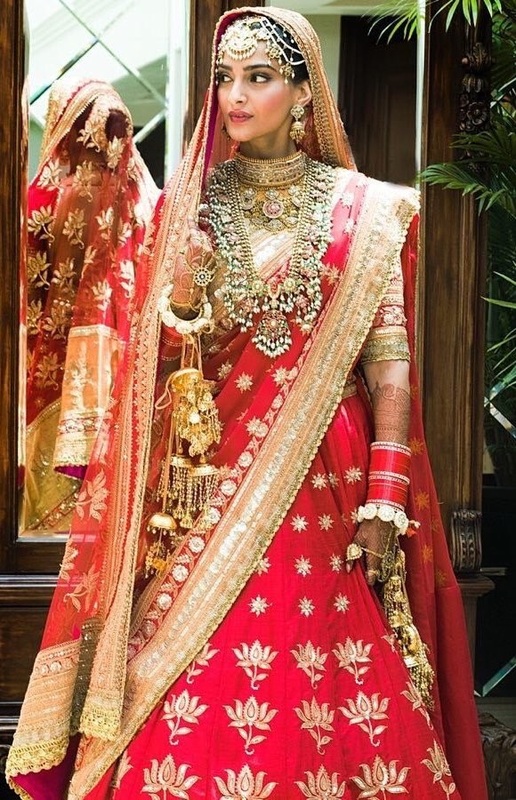 Sonam Kapoor is looking like a queen in her Shaadi-ka-joda. 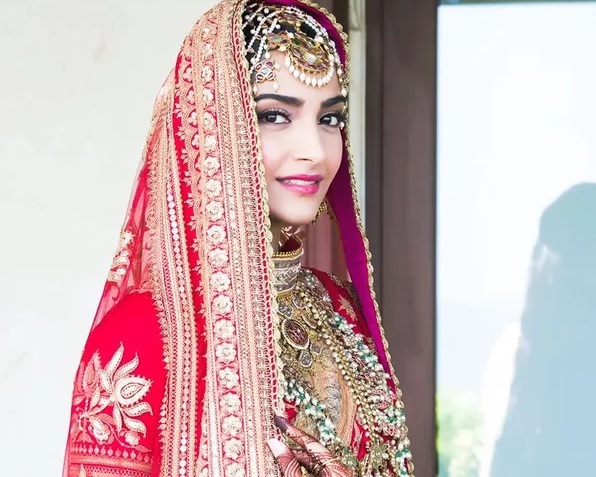 Sonam's outfit is designed by Anuradha Vakil(a very noted name in textile design) and her makeup is done by a renowned makeup artist Namrata Soni. 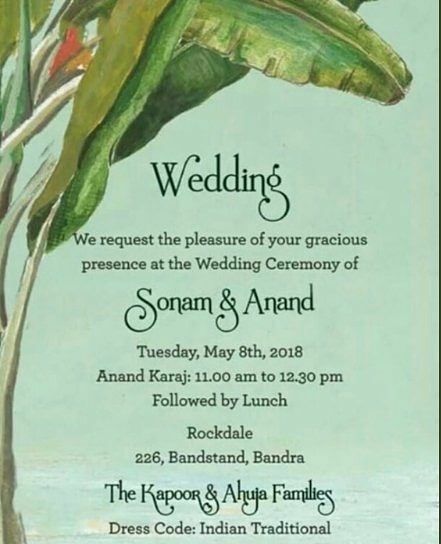 Here's the wedding card of Sonam Kapoor and Anand Ahuja. 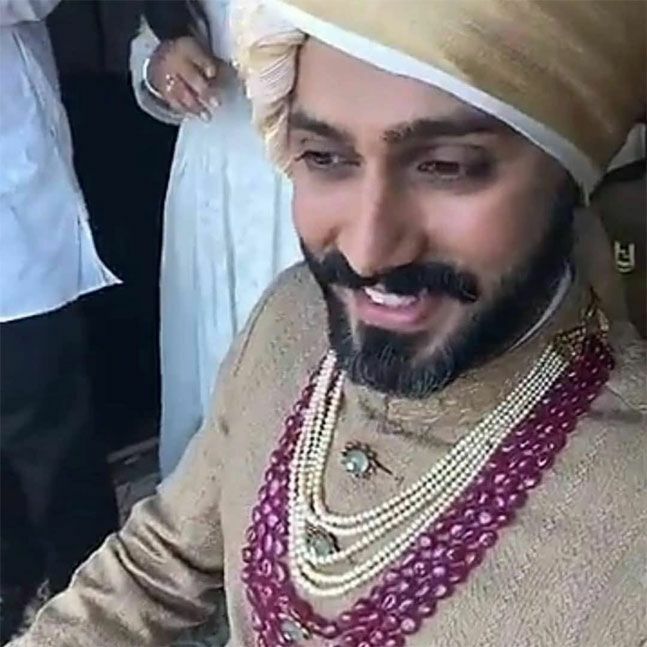 The groom, Anand Ahuja looks super handsome in his golden-brownish traditional attire and a pearl necklace. 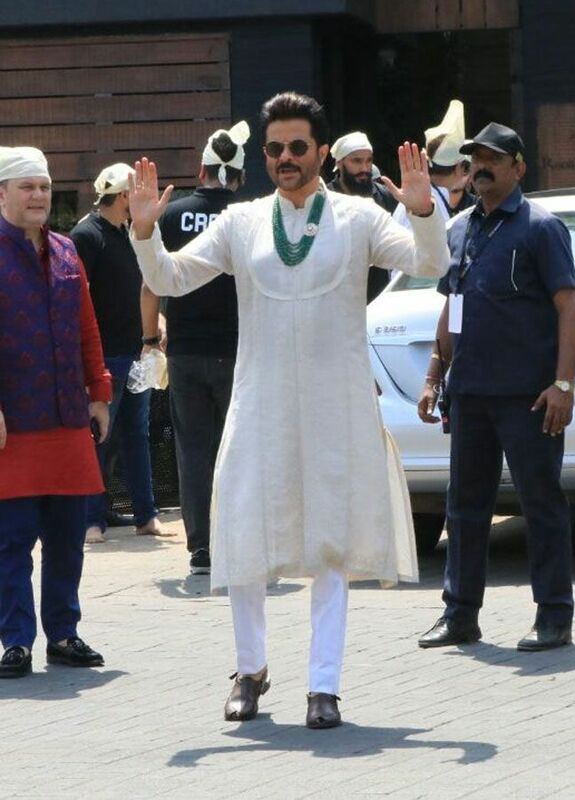 The daddy-cool, Anil Kapoor in white designer kurta. 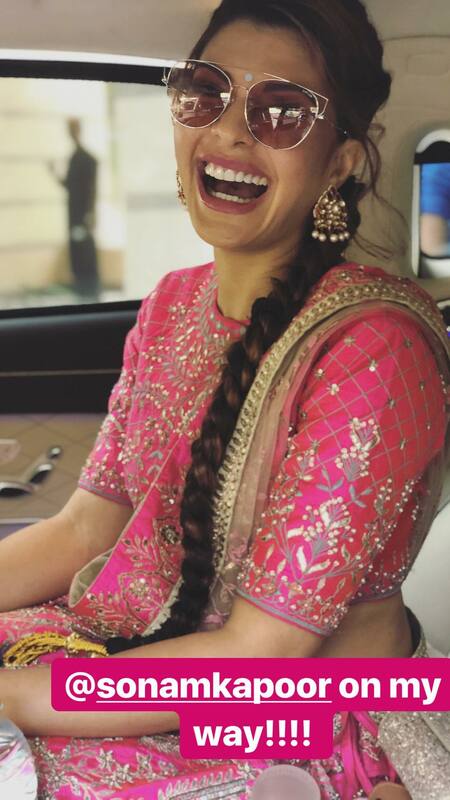 The sunshine smile Jacqueline Fernandez is all dolled up for the grand wedding. 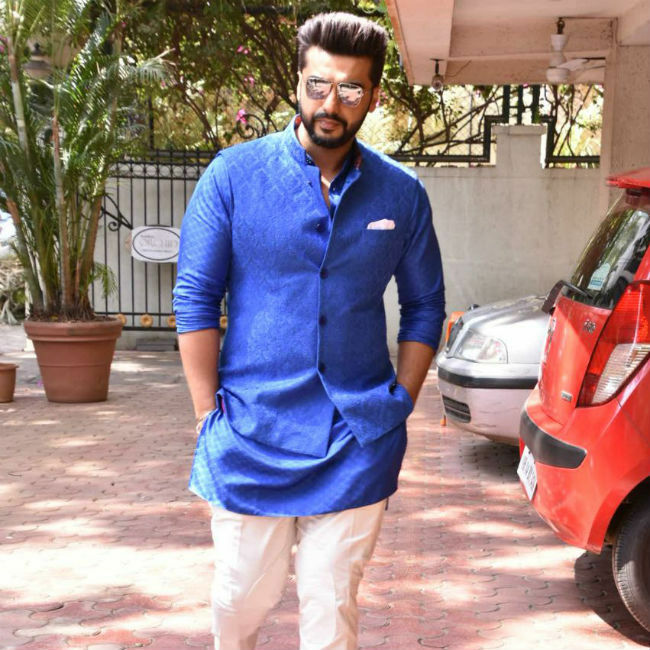 The men in blue Arjun Kapoor is suited up with his swag. 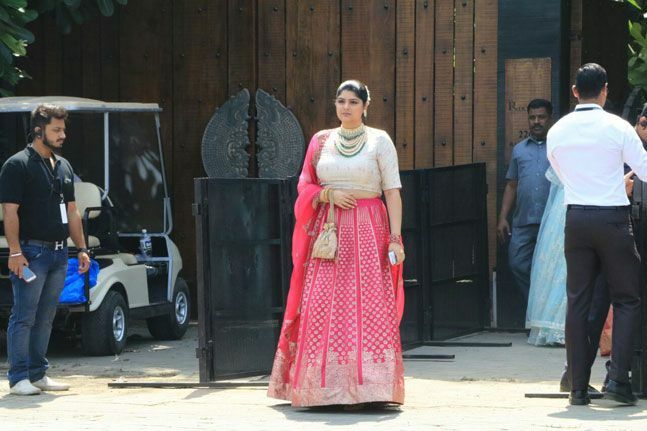 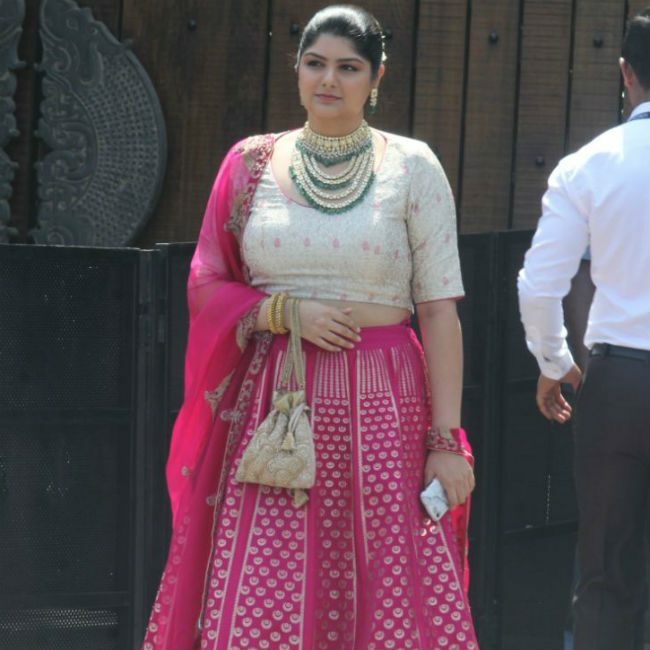 And Anshula kapoor is lloking like a princess in her pink lehenga. 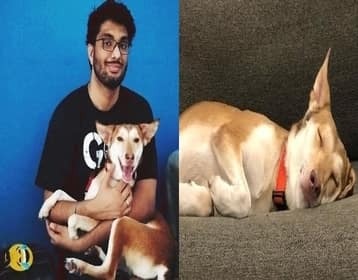 Congratulations to Kapoor's and Ahuja's family.